The job of a retailer is to put all its focus, time and resources into trying to find ways that can generate more sales. Sales ultimately lead to revenues, which are integral to the growth of the business. The actual process of sales, however, involves many critical steps, physical processes, and systems that actually allow a sale to take place. A Point of Sale (POS) system that is exactly right for your business will help you in that regard. A POS checklist would not only include conducting sales transactions but should also handle a number of other activities around it, ranging from inventory management, returns and exchanges to tracking customer behavior. 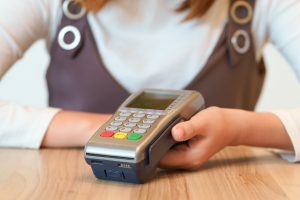 With so many solutions offered for POS services, it can be challenging to find the right one for your retail business. In this article, we have highlighted guidelines that can help you choose what’s best for you. Due to many POS systems available in the market, it can be confusing to choose among them before assessing your business needs. If you leave this task to the system provider, they will most likely install a system that offers them the most profit and is not really suited to your needs. Before pursuing with a certain system provider, you must assess your needs according to the below-mentioned specifications. For any business that sells products, inventory management should be a priority on the POS checklist. Keeping your shelves stocked requires you to keep an efficient POS system that automatically updates after a sale has been made. This will save you a lot of time and energy in keeping track of every single item in the inventory. Apart from managing your inventory, a POS system also allows you to keep a close eye on your customers. The right POS system for your business lets you run loyalty programs that are great for the marketing aspect of your business. Customers can avail discounts and get alerts about sales or discount offers in advance. It also allows insights into customer behavior by recording each customer separately. A POS system itself is a software but it is important to run it on a correct hardware. Typically, small businesses will only require a tablet or system that supports a cloud-based POS software. However, larger stores need printers, terminals, card readers, e-tags and other sophisticated machinery to make the checkout process faster and convenient for the customer. Before making any hardware investments, scrutinize what you have at hand and what must be added to make the process more efficient. A POS Checklist must entail the effectiveness of a POS system in terms of its capability and robustness. As every business has certain unique needs, your business is no exception. Therefore, the POS system must cater to the individual demands of your business. This is perhaps the most important capability associated with a POS system. Processing time is of utmost importance when there are long queues of customers and every second is crucial. The POS system should be simple enough so that you don’t have to consult a manual every single time there is a pause. A POS checklist must ensure that the system is thoroughly checked and beta-tested before implementation. If a POS system is unable to integrate the key areas of supply chain and logistics with your inventory, it might not be as robust and effective. Systems that automate the most process are generally a safe bet because they save you from spending countless hours transferring data from one function to another. Another point to remember when choosing the right system is that the POS checklist should ensure the price for implementation of the whole system is clearly illustrated by the vendor. If the system can track information related to business analytics, it is a huge benefit and you can only observe its real advantages once you implement one in your business.